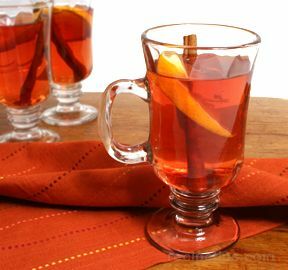 A spiced cider with a hint of citrus. Great served around the holidays with or without the brandy. Keep it in the slow cooker for your holiday gathering. Tie cinnamon, cloves and nutmeg in a piece of cheesecloth. 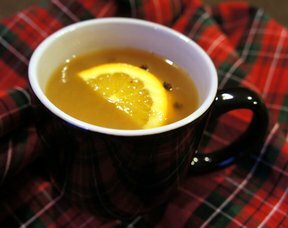 Combine with cider and sugar in large saucepan and simmer 15 minutes. Remove spice bag. Add fruit juices. Bring to boil. Remove from heat. 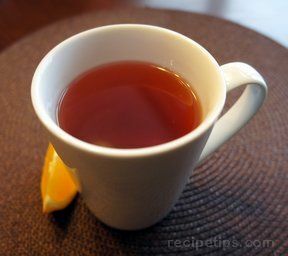 Add brandy, if desired, and serve from heated punch bowl or large chafing dish with oranges floating. 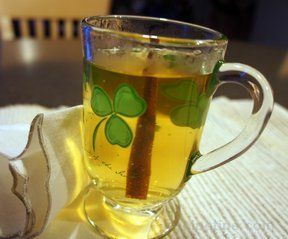 "I am always trying new apple cider recipes but I may stop now. This one was so good. I left out the brandy and had that on the side so kids and adults could both enjoy it."